OIE Collaborating Centers are centers of expertise in a specific designated sphere of competence relating to the management of general questions on animal health issues. 2014 May, the Division of Health and Environmental Sciences (DHES) of Department of Veterinary Medicine, School of Veterinary Medicine, Rakuno Gakuen University, was appointed to be a part of consortium as the OIE Joint Collaborating Centre for Food Safety, together with the Veterinary Public Health Centre (VPHC) in Singapore, and the Food Safety Research Center at the University of Tokyo which until this time had been the sole OIE Collaborating Centre. 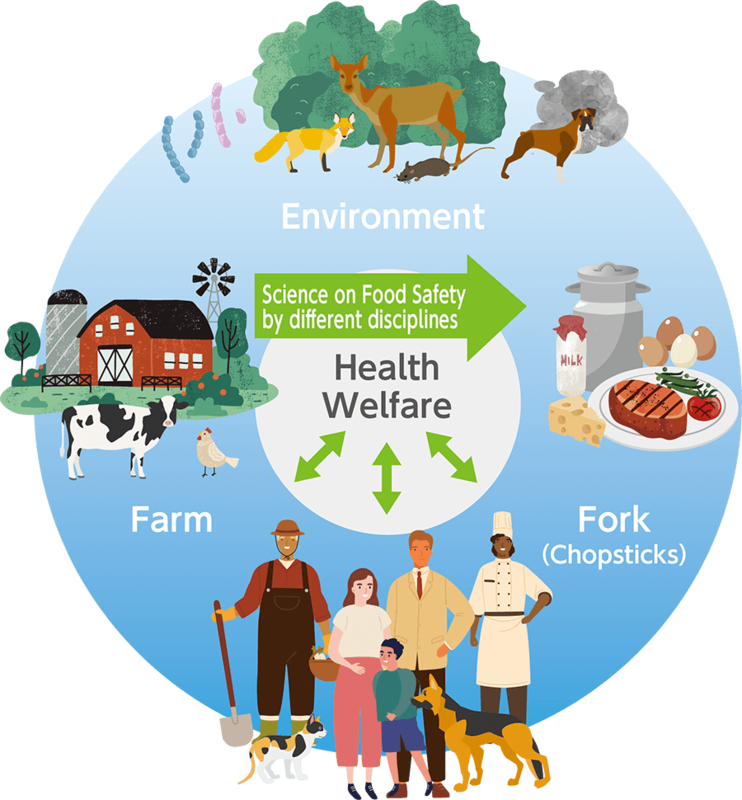 We work with the two centers to contribute food safety worldwide through our education and research. The World Organization for Animal Health (OIE) is the intergovernmental organization responsible for improving animal health worldwide. The organization was established in 1924, and in 2017 has a total of 181 member countries. Six missions are set as the objectives. Please see the additional information http://www.oie.int/. DHES provides web-based training course regarding humans, animals and the environmental health. We welcome your joining of our course!! Copyright©2018 DHES Rakuno Gakuen University All rights reserved.